Why would I need self storage in Eatontown, NJ? There are a variety of reasons why you might need self-storage in Eatontown, NJ. How much is a storage unit in Eatontown, NJ? The cheapest storage unit in Eatontown, NJ is $29.00 per month. What size storage units do you have available in Eatontown, NJ? In Eatontown, NJ we have sizes that range from 5'x5' to 20'x20' to suit your storage needs. How much is it for a 5'x5' storage unit in Eatontown, NJ? The cheapest 5'x5' storage unit in Eatontown, NJ is $44.00 per month. Eatontown is a small borough in New Jersey's Monmouth County. Its unique location means it's accessible to New York City as well as Middletown, New Jersey, making a commute or day trip very easy. The community was founded in 1873 as a formal township, named for one of its prominent early settlers, Thomas Eaton. The community's proximity to New York City makes it the perfect blend of urban and suburban lifestyles. You can stay close to home for a quiet night in, or head into the city to take advantage of its nightlife or cultural offerings. You'll have access to public transportation to other parts of New Jersey as well as New York, which makes this a convenient home base if you lack a vehicle. Fortunately, you don't have to leave the borough limits in search of basic amenities like supermarkets, coffee shops, restaurants, gyms, libraries and more. 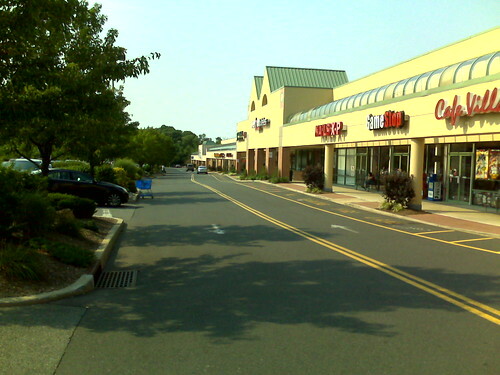 Eatontown is also home to the Monmouth Mall, which features many shops, restaurants and a large movie theater. Although cold winters are a part of life in the northeastern U.S., mild summers make up for the snow and ice. You can visit the Jersey Shore over the summer or spend your time in neighborhood parks and other outdoor spaces. Excellent educational prospects and solid employment opportunities are other major draws for people moving to the area. The housing market is highly stable, with about half of the borough's residents owning their own homes. You can expect a high cost of living here, especially with regard to real estate, utilities and groceries. However, a high cost of living is generally expected on the East Coast; you won't find many affordable cities in New York or New Jersey. The Eatontown Public Schools system is responsible for the public schools in Eatontown. There are also several private schools in Eatontown, including Hawkswood School, a special needs campus. Utilities: Major utility providers in Eatontown are Jersey Central Power & Light and the Eatontown Sewerage Authority. Garbage and Recycling: Trash is collected twice a week, and recyclables are picked up every other week. Transportation: Eatontown is part of the New Jersey Transit network, which makes it easy to access many of its neighboring communities. Like many East Coast communities, Eatontown has a fairly expensive housing market. Prices are well above the national average, but not as expensive as many other towns in the area. Many of the homes in Eatontown are large, single-family homes on spacious lots, and new construction is also an option. If you're planning to rent, you'll have your pick of several apartment communities. Our lowest priced units in Eatontown, NJ average $36.50 per month. 133 people have reserved units in Eatontown, NJ in the past 30 days. There are 2 locations within Eatontown, NJ's city limits.